Here is a photograph of the F.B. and Christiann Dunn house mentioned in my previous post. Mr. Dunn was a Dry goods merchant who came to Eugene in 1854 from Illinois. Mrs. Dunn was the eldest daughter of Daniel Christian (who's house still stands on 12th Ave. between Oak and Pearl and is the oldest house in Eugene remaining on its original donation land claim. )and arrived in Eugene with her family in 1852. 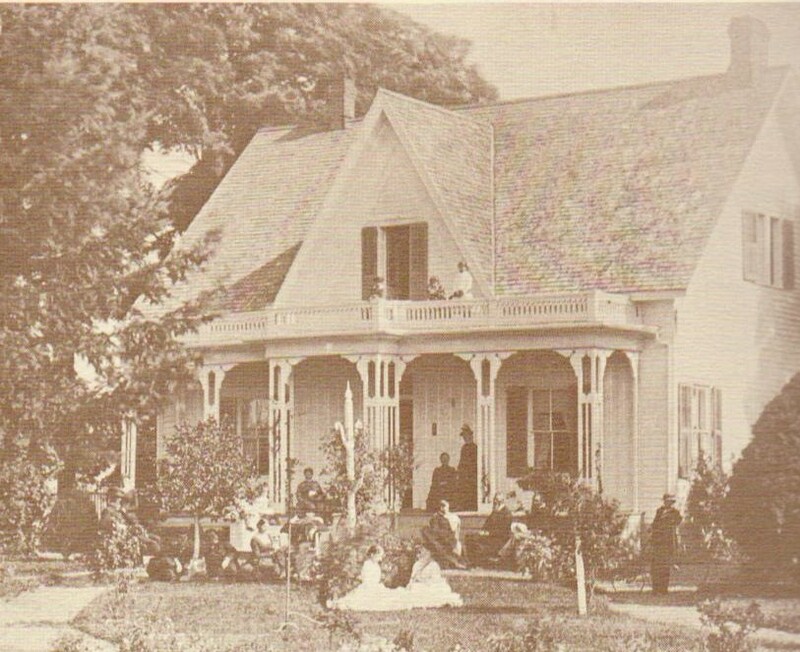 The Dunn's lived in several locations in Eugene and Springfield after their marriage until building this beautiful home in 1867. 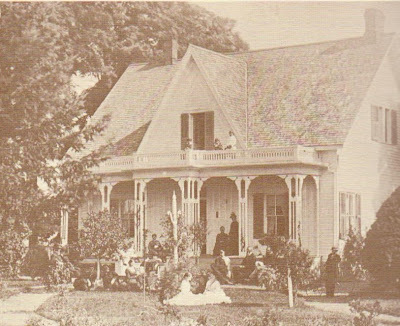 The house faced 11th Avenue and the grounds were bordered by 13th Avenue to the south, Oak to the east and the alley between Willamette and Oak on the west. In general the house was in the carpenter Gothic style with five large rooms downstairs and four bedrooms and an attic upstairs. The house was furnished with beautiful mahogany furniture which had been shipped around the horn to Oregon from the east coast. The Dunn's were also known for the elaborate landscaping they maintained on the grounds. Mr. Dunn who was a former Mayor of Eugene passed away in 1892. Years later when the house had become outdated Mrs. Dunn and her unmarried daughter had it moved the the rear of the property facing east against 13th Avenue and built a new larger more modern house that still stands. The original structure of 1867 while currently divided into apartments, has been drastically altered over the years, losing its porches, original siding and sporting the addition of a store front off the kitchen wing.